The Georgia Institute of Technology has awarded William H. Foege, MD, MPH, with the 2012 Ivan Allen Jr. Prize for Social Courage. Foege is an emeritus presidential distinguished professor of international health at Emory’s Rollins School of Public Health (RSPH) and a senior fellow at the Bill and Melinda Gates Foundation. In previous roles he was director of the Centers for Disease Control and Prevention (CDC) and executive director of The Carter Center. Foege is widely recognized as instrumental in the successful campaign to eradicate smallpox in the 1970s and is a longtime champion of many issues including child survival and development, injury prevention, disease eradication and control, preventive medicine and public health, particularly in the developing world. The award recognizes those around the world who, by standing up for moral principle, have positively affected public discourse at the risk of their own careers, their livelihoods and even their lives. Past recipients include President Jimmy Carter, Sam Nunn and Ted Turner. Foege will receive the honor on March 14 during the "Global Health and the Challenge of Hope" symposium sponsored by Georgia Tech. The symposium will feature a panel of public health experts including Foege and his Emory colleagues James W. Curran, MD, MPH, dean of RSPH, and Jeffrey P. Koplan, MD, MPH, vice president for global health and director of the Emory Global Health Institute. They will discuss the grand challenge of global health and trends that are shaping the future. Insights will focus on Foege’s transformational global health policies which made possible the eradication of smallpox and other diseases worldwide. After serving as a medical missionary in Nigeria, Foege became chief of the CDC’s Smallpox Eradication Program and was named director of the agency in 1977. In 1984 Foege and several colleagues formed the Task Force for Child Survival (now the Task Force for Global Health), which has taken an active role in the eradication of the Guinea worm disease, polio, measles, and river blindness. 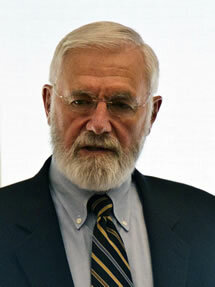 Foege served as executive director of The Carter Center from 1986 to 2000 and joined the Emory faculty in 1997. In 1999 he became senior medical adviser for the Bill and Melinda Gates Foundation. In 2001, he retired from both Emory and the Gates Foundation but remains active in both organizations serving as a Gates fellow and on the advisory board for the Emory University Global Health Institute and in his role as professor emeritus at RSPH. Foege is the recipient of many awards, including the 2001 Lasker Award, one of the most prestigious honors in biomedical science. He attended Pacific Lutheran University, received his medical degree from the University of Washington, and his Master of Public Health from Harvard University. He holds honorary degrees from numerous institutions, and was named a Fellow of the London School of Tropical Medicine and Hygiene in 1997. The author of more than 125 professional publications, Foege’s recent book, House on Fire (University of California Press, June 2011) tells the story of how smallpox, a disease that killed, blinded, and scarred millions over centuries of human history, was completely eradicated in a spectacular triumph of medicine and public health.